Individuals with intellectual disabilities (ID) and autism spectrum disorders may be at increased risk for anxiety disorders. Unfortunately, research on the assessment and treatment of anxiety disorders in individuals with ID has lagged behind that related to typically developing individuals. 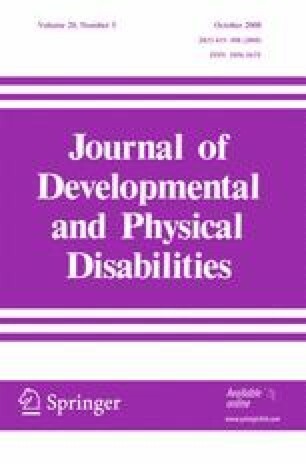 This paper reviews the existing literature and also draws from the research on anxiety in typically developing persons as a basis for discussing the behavioral assessment and treatment techniques applicable to individuals with ID and autism who also have anxiety. Challenges in identifying anxiety in this population are discussed and methods of behavioral assessment discussed include rating scales, behavioral interviews, direct observation of behavior, and physiological measures are reviewed. Treatment procedures discussed include graduated exposure and reinforcement. The authors would like to thank Lynn Bowman for her comments on this manuscript.